Dual purpose often means compromising performance either on the road or off it. Not so with Yamaha's WR250R - this quarter litre supertrail machine is as good on the tar as it is in the dirt. 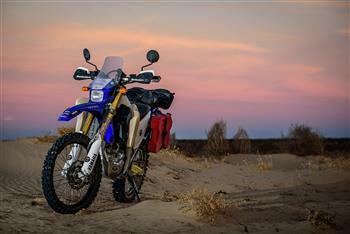 A well kitted WR250R is the bike to ride on an Aussie desert crossing.